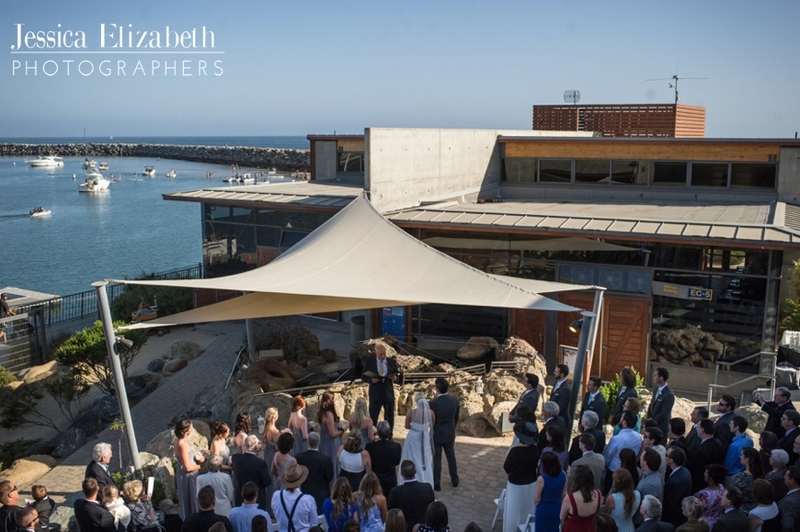 Brian and Kayla were married at the Ocean Institute in Dana Point. Robert and I had such an amazing time with them! April sometimes has iffy weather here in SoCal, but for Brian and Kayla the sun was shining brightly and the winds stayed much calmer than expected which was fantastic. Kayla and her ladies got ready at a family home in San Clemente filled with love and beautiful light. Brian and the guys got ready at an inn near the venue, and Rob had lots of fun enjoying their camaraderie. 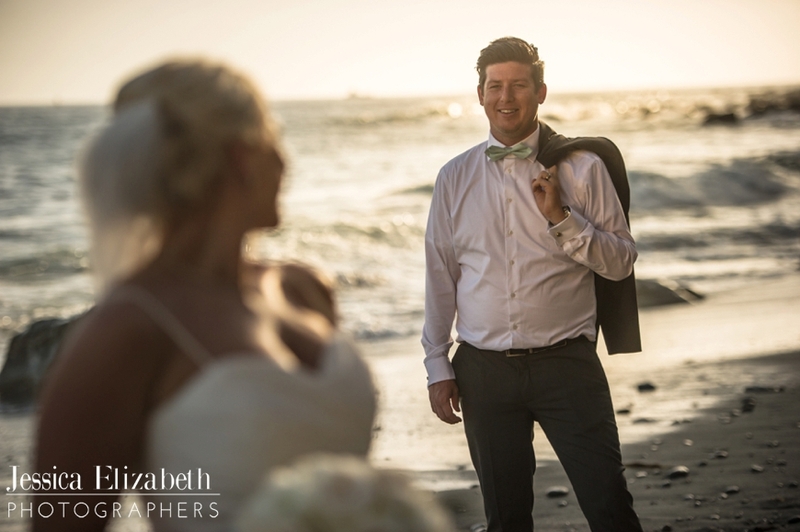 Kayla and Brian choose to do their first look on the Jetty near the Ocean Institute in Dana Point. Brian carefully manuevered the rocks to get to Kayla while Rob and I balanced on rocks nearby in one of the most adverturous and exciting first looks we've ever seen! Their glances at each other as they embraced and the wind gently caught Kayla's veil was so beautiful. We took advantage of the fantastic weather and took photos with the entire bridal party on the Jetty too- before it was time to head to the ceremony. Their ceremony was so sweet and touching. Definitely some very happy tears in the audience! As the Golden Hour arrived, we went down to the shore with the newlyweds and encountered the most heavenly light. It was such a magical time of day. We always love documenting these sweet moments after the ceremony when the hustle and bustle of the day is winding down and the couple finally gets some moments to breathe, relax, and just enjoy some time together as new husband and wife. We are so thankful that we got to share these and all of the days moments with them. 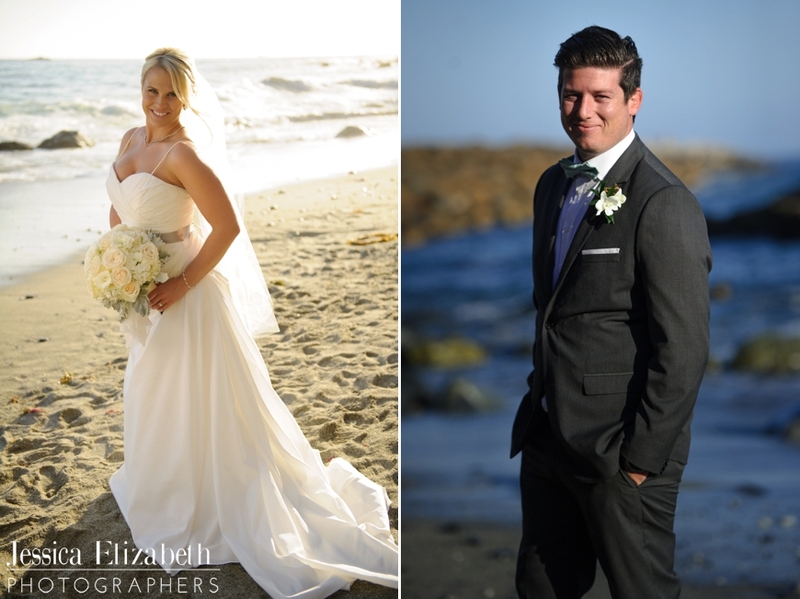 If you are interested in having Jessica Elizabeth Photographers document your wedding or special event, please email us at Jessica@JessicaElizabeth.com or give us a call at 562-201-9494.